I will confess that I LOVE snow…like really, really love it. In my area of Kansas we don't get a lot of snow….so I am always thrilled when we do! I decided I wanted to do some fun snow related things with my younger kids. 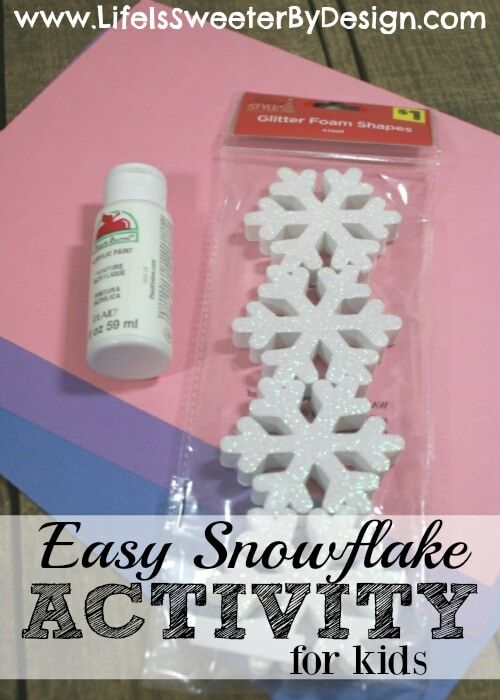 This Snowflake Song and Snowflake Activity for Kids is really fun. I love to sing and so does my little one! So any kind of activity that involves a song is perfect for us. 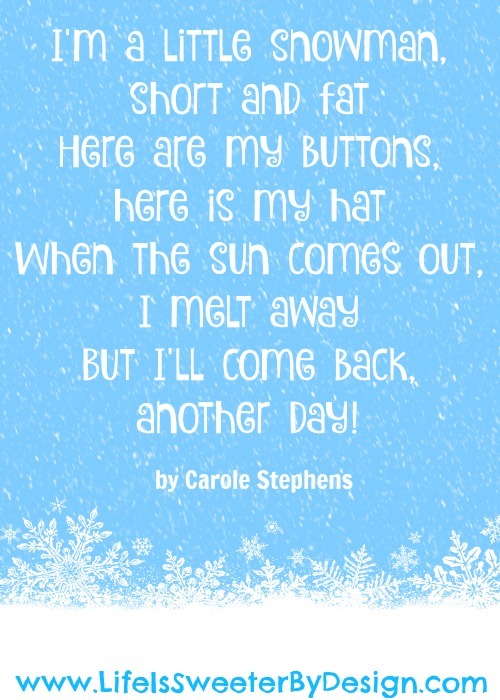 This song is by Carole Stephens. It is so cute and you sing it to the tune of Twinkle, Twinkle Little Star. This is a song that most kids know or have heard…so it is easy to toddlers to catch on too! Older kids will have no problem singing along! While your child is singing they can dance around and move their arms in the arm like falling snowflakes! They can bend down and touch the ground…touch their nose…touch their toes. It is a fun song to dance to! 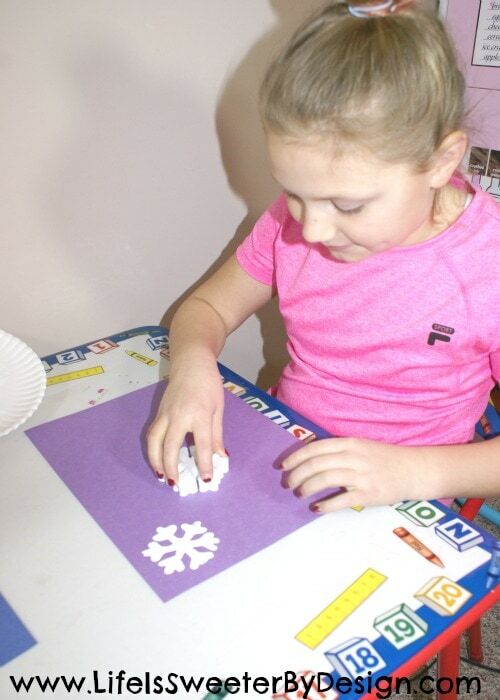 I found these foam snowflake shapes at the Dollar General for $1 and thought they would make a fun and easy Snowflake Activity for Kids! There isn't much to this….which is how I like it! Easy is always best when working with littles!! Put some white paint onto a paper plate. 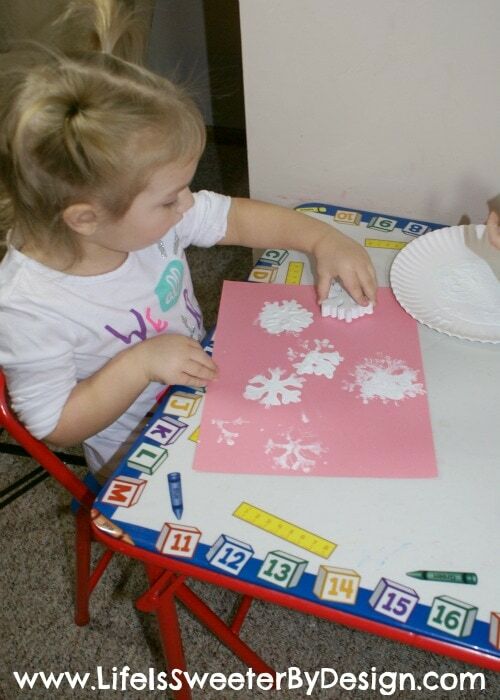 Have your child dip one side of the foam snowflake into the paint. 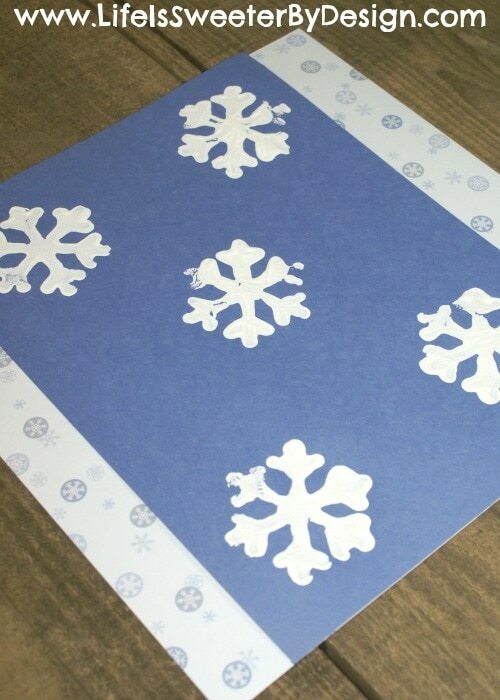 Press the foam snowflake paint side down onto a piece of colored construction paper. Repeat as many times as desired on as many pieces of paper as desired! *If you want to do this with older children you could do the same thing, but add some glitter to the snowflakes after they stamp them….just shake the extra glitter off into the trashcan! Pretty snowflakes! What are your favorite snow activities? 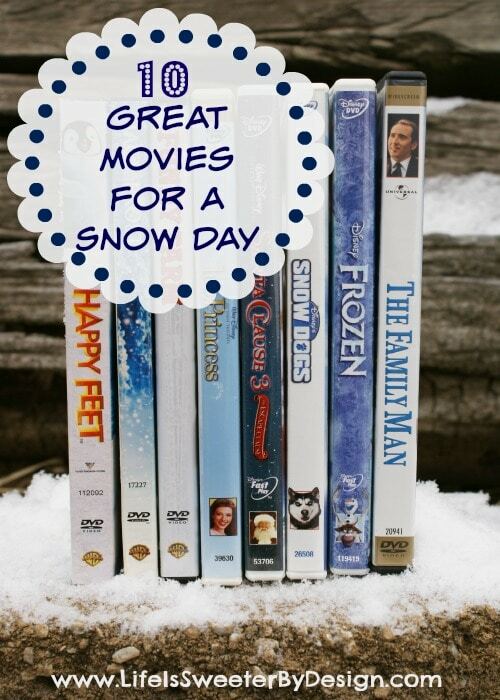 When we actually do get snow we love to cuddle up and watch snow day movies! 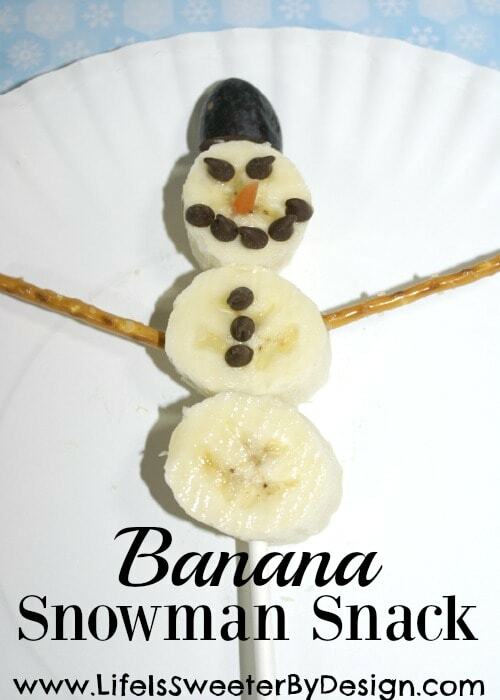 We also love to make Banana Snowmen Snacks and sing a Snowman Song!